The Internet has much information on kamikaze and other types of special attack corps that carried out suicide attacks near the end of World War II. However, most of this information is found on Japanese web sites. Although difficult to estimate, there is probably about 20 to 50 times more information in Japanese than in English. Two Japanese web sites, Kamikaze and Kaiten Special Attack Corps, have many pages translated to English. Another Japanese site has my English translations of several Stories of Bereaved Families with relatives in the kamikaze corps who died during World War II. Other than these three sites, many individual English web pages about kamikaze have been published on the Internet, but no non-Japanese web site other than this one focuses on Japanese kamikaze. Three Japanese sites on special attack corps each contain several hundred web pages: Aozora no hateni (To the blue sky's end), Junkoku no ishibumi (War Monuments), and Kaiten Tokkoutai (Kaiten Special Attack Corps). These sites contain many historical photos and much information not found elsewhere on the Internet. The webmaster for the first site is a former kamikaze pilot who survived the war, and the webmasters for the other two sites each has a father who was a member of the kaiten (manned torpedo) special attack corps. 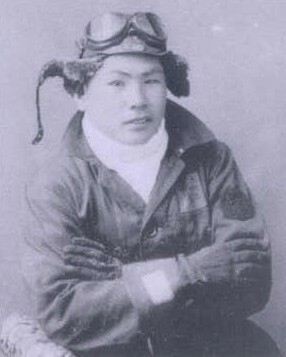 The Japanese web site Kamikaze gives a good introduction to kamikaze history and to letters written by kamikaze pilots. This site has a very active message board that has postings in both Japanese and English. English-language information about kamikaze on the Internet is widely dispersed. Individual articles about veterans who experienced or observed kamikaze attacks are published on the Internet from time to time. Also, some kamikaze-related information can be found on web sites on American ships that got hit by kamikaze planes. An example of this type of site is Air Group 4 - "Casablanca to Tokyo". The Links page lists several English and Japanese web sites and pages on Japan's special attack forces. A page on Message Boards summarizes the types of postings made related to Japan's special attack forces. This section contains reviews of several major web sites about Japan's special attack forces. Other than the first one, all sites are Japanese.